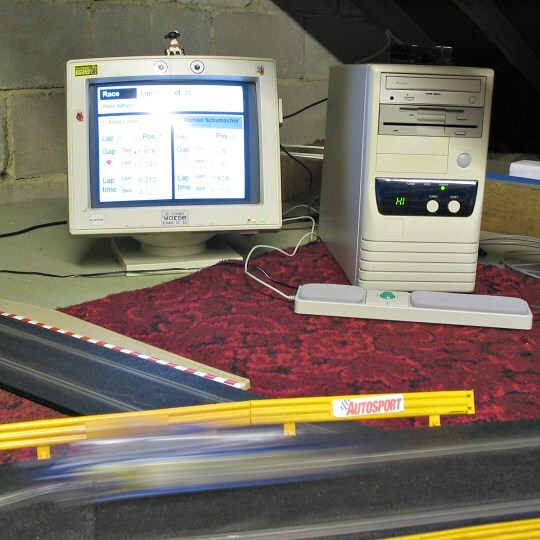 This is another old machine still doing sterling service: it runs lap-timing software for my Scalextric slot-racing track. As with the Viglen machine, the presence of the 5.25" floppy drive reminds us of days gone by. However this machine has been brought bang up to date with the addition of a quad-speed CDROM drive.